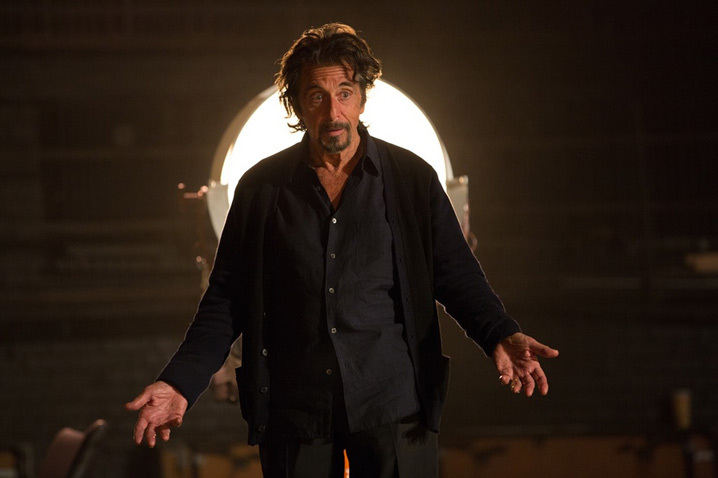 It’s indisputable that Al Pacino is one of the greatest screen actors of all time. Still, even the greats sometimes deliver a turkey. The actor experienced a rough patch from 2005 to 2012, during which he appeared in a number of critically panned films, including “The Son of No One” and “Jack and Jill.” But over the last two years he’s turned it around to deliver two performances that harken back to his best work: David Gordon Green’s “Manglehorn” and Barry Levinson’s “The Humbling,” both of which premiered on the festival circuit late last year. 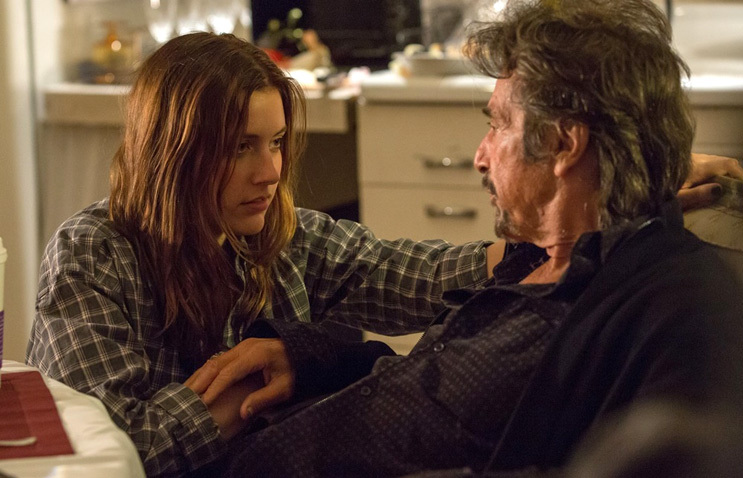 In “The Humbling,” which recently opened in theaters and is available to view on video on demand platforms, Pacino plays Simon Axler, a washed-up actor who experiences bouts of dementia. After a failed suicide attempt, he falls for a much younger woman (Greta Gerwig). What was it like reuniting with Barry, who you recently shot “You Don’t Know Jack” with? Well, you know I know him very well and I’ve worked with him a lot. I hope I work with him forever because it’s good to have somebody that you can get a sense of. You’ve seen all aspects of that person, so you get to know them on that level. So, that’s what made this possible, I think, because we did it in 20 days. We did it on the run, so to speak. Go in there, shoot a few days, read again a couple of weeks later, shoot a week, come back… and without any rehearsal. Barry thought that this is the way to make this picture; it will give you the feel of that. It’ll give it that texture that this kind of movie needs. When I read the book [by Philip Roth], I wanted to option it. My agent told me about this book and when I read it, I thought, “This is a character for me to make with my own people,” because it spoke to something that I knew. Making movies is tough enough, but making movies from scratch… that’s almost impossible. We knew we had to adapt a movie from the book. We had to change it a little bit to find the film in there. Simon is at an extreme low point in his career in “The Humbling.” He’s lost the passion for his craft, has trouble remembering his lines…. As an actor, could you relate? Well, in a way, it’s more obvious when an athlete goes down because it’s clear — their reflexes, their knees, their age. There are tools that actors use that get worn, too. You just wear down. Part of it is memory. Part of it is stamina. Stamina is very important, especially when you’re playing those rigorous roles on stage. I think this led Simon to a minor nervous breakdown. I guess it’s major if you’re trying to kill yourself. So, I think that’s what led to it — this ongoing feeling of being trapped in something he can’t get out of. Simon takes a long break to regroup. That’s something I don’t think you’ve ever done. I did take four years off. I did it from 1985 to1989. Those years were very important to me because I think it made me understand myself in relation to what I do. It was a very important period for me. When I came back, I’ve been working ever since and I work a lot, a little bit too much for my taste. I’m starting to recede a little bit. But, I also had children all over the place and dealt with that and handled it and worked for them to be with my kids and have a life with them. So, that was a big part of my development in that area. I became involved with the world, being successful and having to generally cope with that. You have to cope. As my great friend Lee Strasberg said to me, “Darling, we simply have to adjust.” [Laughs]. We have to adjust. Adjusting to that brings a certain sense of things; therapy. I think a lot of that stuff was part and parcel of getting along and moving on and living through all of this. All this happened to me. It’s been an interesting time, just to survive it. To speak with triumph and to survive is everything. According to many critics, you’re experiencing a creative resurgence of sorts thanks to “The Humbling” and your work in “Manglehorn,” which was also received warmly. What do you make of that? Yes. I feel tired. And I would hope that if that’s recognized, I couldn’t be happier. That’s a reward for all of this. But, yes, I think that the idea of resurgence is wonderful. But basically, I think it’s just luck. Also, if you start to say, “How about if I made a movie with this person who is really a good director,” or “How about if I did a movie about something that I feel I’ve got something to say about”… these things happen and I think you’re lucky when it happens. But, I did think that if I did these movies and I have a certain period of time to do them, then perhaps, somehow, it would be clear what I was trying to do. Indiewire has partnered with Time Warner Cable Movies On Demand for January’s Indie Film Month. Enjoy exceptionally creative and uniquely entertaining new Indie releases (“Boyhood,” “The Skeleton Twins,” “Song One,” and more) all month long on Time Warner Cable Movies On Demand. Go HERE daily for movie reviews, interviews, and exclusive footage of the suggested TWC movie of the day and catch the best Indie titles on TWC Movies On Demand.